For over three decades, the Florida Personal Injury Lawyers at Babbitt & Johnson P.A. have been helping clients with car accident representation. While most people say that auto accidents are unavoidable and can happen to anyone at any time, most accidents actually involve human error and driver negligence. If you have been involved in a car accident in Florida or anywhere in the US, know that there are certain steps you need to take to ensure your involvement in the accident will be conveyed properly. Our Florida auto accident attorneys share critical post-accident steps. Thank you to FindLaw for the clear, concise steps in your article After a Car Accident, First Steps. #1. If you have been in a serious car accident, don’t leave until you follow the steps below. This is important because depending on the circumstances, leaving the scene could be viewed as “hit and run.” Only leave if you have been asked to by the police. — Make sure all drivers and passengers are checked. Do this before assessing property damages. It will insure those who need medical attention get it right away. Tip: If an injured person is unconscious or appears to have neck pain, do not move them unless they are in harm’s way. Call 911. — Call the police. You need to call the police if there is substantial property damage, physical injury, or death at the scene. You will also want to ask for a police report and make sure you get the responding officer’s name and badge #. If there are passengers collect their names, number and addresses too. –Talk to Witnesses. Ask every witness what they saw. Determine from locals if accidents have happened in this place before and if they are frequent. Get their contact information. –Inform your insurance company. Explain the facts of the accident clearly and do not lie. You could have your insurance cancelled if they detect you were less than honest. –Get photos if you can. If possible, photograph damage to your vehicle and the accident scene including the other vehicles. Taking a photo of your vehicle before the accident shows the true extent of the damage. Photos from your phone are fine. –Get property damage valuation from your insurance company. Not satisfied? Go get two more damage estimates or damage quotes. Sadly, some accidents are so severe that you or your loved ones aren’t in a state to follow the steps above. That is where our West Palm Beach Car Accident Lawyers come in. 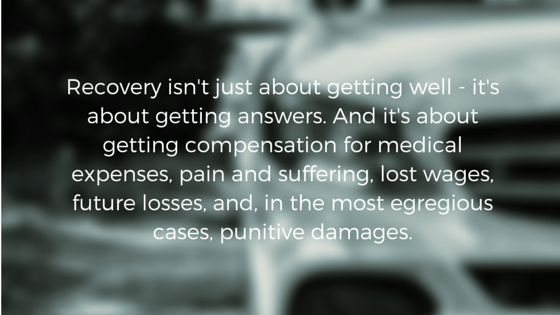 Recovery isn’t just about getting well – it’s about getting answers. And it’s about getting compensation for medical expenses, pain and suffering, lost wages, future losses, and, in the most egregious cases, punitive damages. Be sure that you keep bills from doctors, chiropractors and other treatment providers and note the medications or treatments taken as a result of the accident. Make sure to note pain and suffering related to the accident which affects your daily life. Be sure to describe how you are dealing with that since the accident. Use caution in discussing the incident. If you have been in a serious Florida auto accident, seek expert representation. You should only speak to your lawyer, police or insurance company about the accident. If contacted by the other insurance company, do not speak to them directly. Be polite and refer them to your insurance person or attorney. And be wary of early settlement offers from insurance company. Determine whose fault it was. If it was yours, you do not need to hire a lawyer. 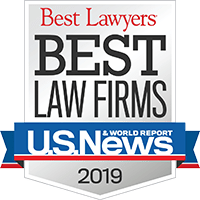 If the accident was not your fault and you have suffered a severe injury, you should contact a car accident attorney who has a history of obtaining maximum settlements and verdicts for their clients in automobile accidents. For decades, Babbitt & Johnson P.A. has been helping clients with car accident representation. If you or a loved one feel you have been a victim of a car or automobile accident, call Babbitt & Johnson P.A. at 561-684-2500 or toll free at 888-666-0523. We are dedicated to ensuring your rights are protected, and accept cases throughout the U.S.
Every case we accept is handled on a contingency basis, so you won’t be charged any attorney’s fees unless we win.